In airport news, United is testing enhanced food service at four of its airport lounges; Delta, American and JetBlue are moving operations at New York LaGuardia; shared-use lounges expand at Boston Logan and move at Pittsburgh; Cleveland makes bag checking easier; and automated TSA lanes come to Dallas/Ft. Worth. Forbes reports that United Airlines has started market-testing a big upgrade to the food service at a handful of its United Club airport lounges. 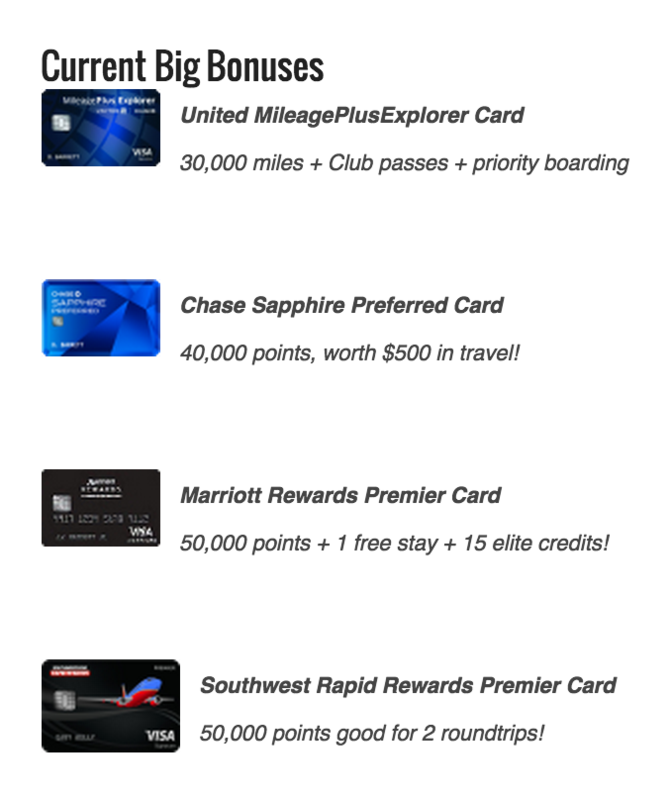 The testing is going on in United Clubs at Boston, Orlando, Las Vegas and Houston Bush Intercontinental, Forbes said. 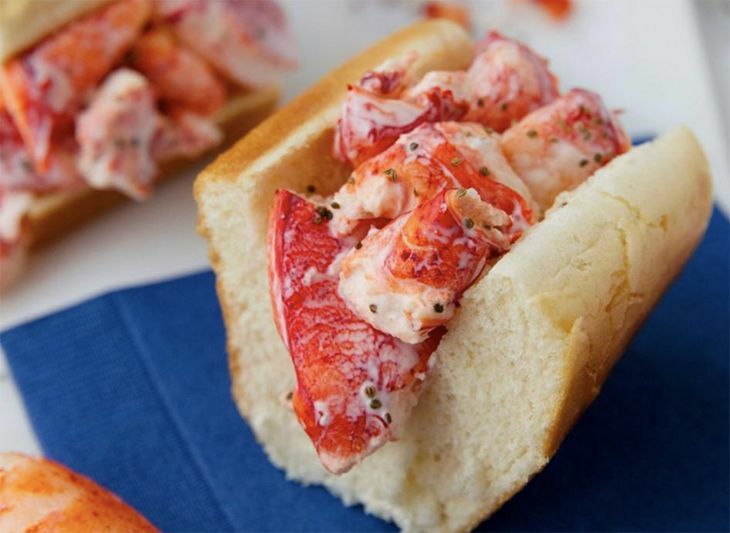 Besides introducing regional favorites like New England lobster rolls and Boston cream pies at Logan, the airline is adding new hot breakfast items, soups, salads and a “Mediterranean board,” the article reported. With all that construction going on during the massive rehabilitation of New York LaGuardia’s passenger terminals, Delta, American and JetBlue are shifting their operations there. Delta said that as of December 9, it is taking its Delta Shuttle flights to Chicago and Washington out of the Marine Air Terminal and moving them to Terminal C, where its LGA-Boston shuttles already operate. American said that by December 9, it will consolidate its LGA operations in Terminal B (the Central Terminal). “Since December 2013, (American’s) flights have been split between Terminals B and C. This consolidated operation means all customers will check in at Terminal B and American will operate flights from each of the terminal’s four concourses,” a spokesman said. JetBlue, meanwhile, has decided to pull up stakes and move from the Central Terminal to the airport’s historic Marine Air Terminal. The art deco terminal opened in 1940, and during its history it has served as a seaplane terminal, a base for Northeast Corridor shuttle flights, and a facility for private jets. 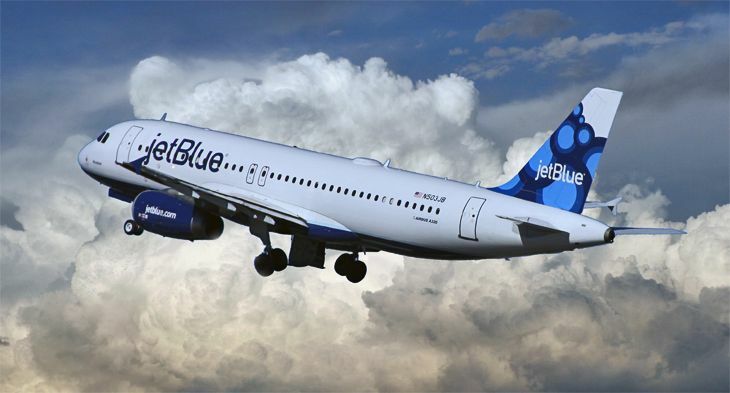 JetBlue has several flights a day between LGA and Boston, as well as non-stop service from LGA to Orlando, Ft. Lauderdale and West Palm Beach, Fla. 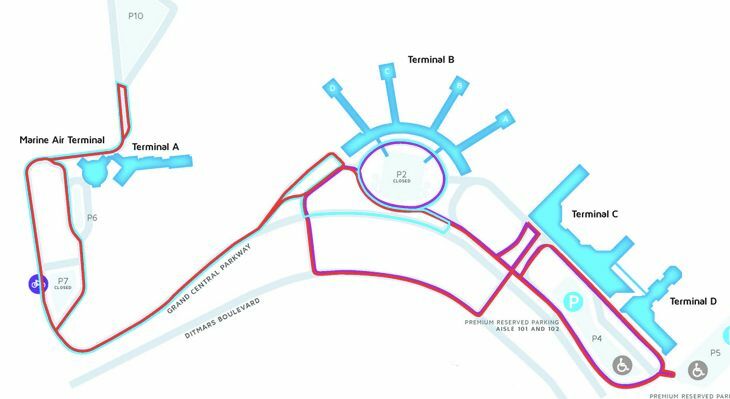 The airline said it should be in place at the new facility before the holidays in December, occupying four gates there. Most of JetBlue’s New York flights are at JFK Airport. Airport Lounge Development, which operates lounges open to any passenger on a fee basis, has some news at Boston Logan and at Pittsburgh. The company said its Boston Club in Terminal E has just finished an extensive expansion, and now occupies more than 3,500 square feet with seating for 82. It also added new restrooms and shower facilities, new furniture and an enhanced food menu. (Besides The Club in Terminal E, the company also operates The Lounge in Boston’s Terminal C.) At Pittsburgh, meanwhile, The Club has shifted from a temporary location on Concourse C to a permanent one, also on Concourse C just off the Center Core. The temporary site started accepting guests in June. Day passes at both clubs cost $40. The struggle may soon end for many passengers at Cleveland Hopkins, who have been required to lug their checked luggage after check-in to a separate TSA bag screening drop-off location. The airport this week started live testing of a new in-line baggage screening system on the south end of the ticketing lobby that will eliminate that step for passengers of United, JetBlue, Southwest and Air Canada. Previously, only United had an in-line baggage system at CLE. “If all system testing is successfully completed by mid-November, the free-standing bag security screening machines on the south end of the ticketing level will be removed by the busy Thanksgiving holiday weekend,” the airport said. The latest major airport to get some of those new automated TSA screening lanes is Dallas/Ft. Worth, which has added four of them at checkpoints in Terminals A and D (checkpoints A21 and D22). Up to five travelers at a time can load their belongings into bins; items needing extra screening are shunted off to a separate conveyor belt so they won’t slow things down, and empty bins are sent back to the start via a separate automated belt to free up TSA officers from carrying them. 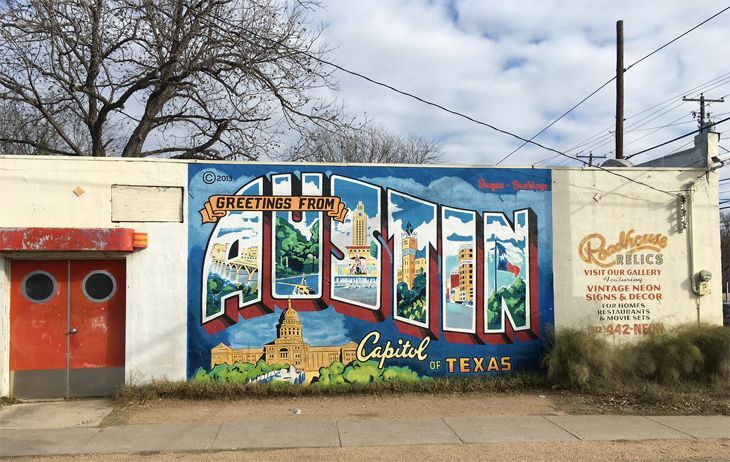 Bins are 25 percent larger than before, and RFID tags are on each bin, “matching travelers to their property as they move throughout the security screening process,” DFW said. 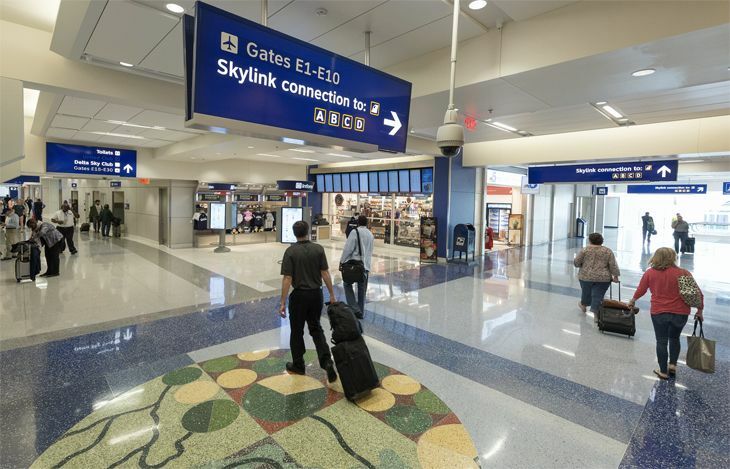 Over time, DFW expects to install 10 of the automated checkpoint lanes throughout the airport. 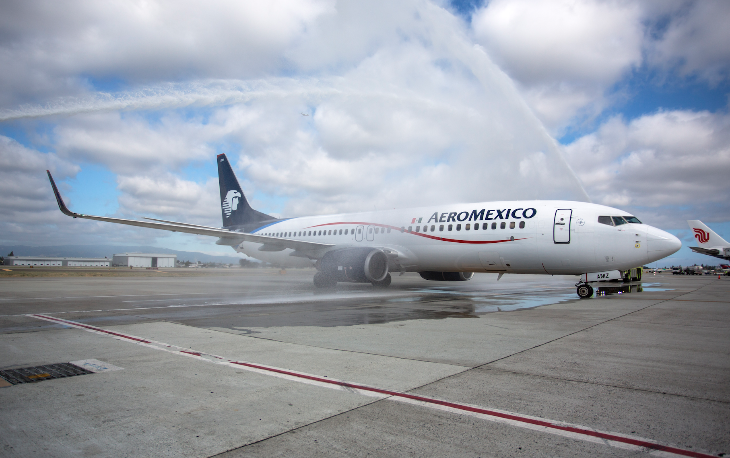 In domestic route developments, new transcontinental flights are due to start at San Jose over the next few weeks; United kicks off a transcon to Florida from San Francisco International; American launches a new California route from its Phoenix hub; Delta links two southern business centers; and Spirit comes to Pittsburgh. 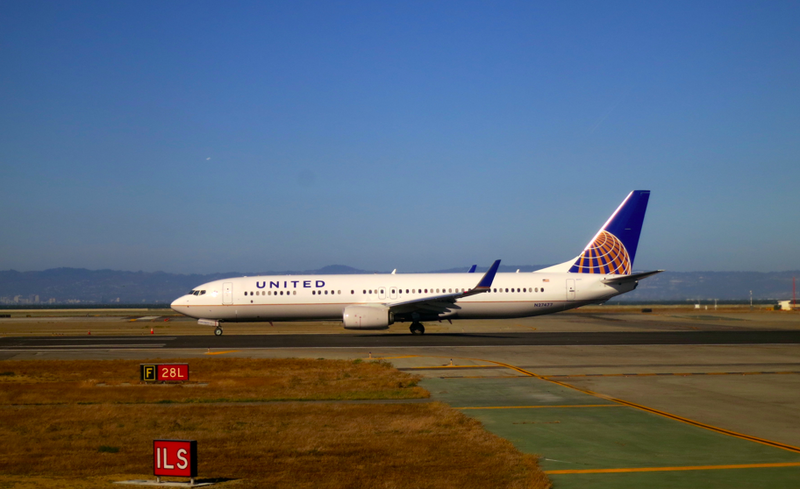 Previously announced plans by United and Alaska Airlines to expand at Mineta San Jose will get off the ground next month. United’s schedule calls for the launch of new service from SJC to two of its hubs: Chicago O’Hare and Newark. The carrier will operate two flights a day between SJC and O’Hare, and one daily roundtrip to Newark Liberty International, using 737-800s. Both routes begin March 9. SJC-O’Hare is already served by American, and Southwest flies from SJC to Chicago Midway. Just three days after United starts its SJC-Newark service, Alaska Airlines is due to begin service on the very same route, with one daily roundtrip. Both the United and Alaska flights will have early-morning eastbound departures. 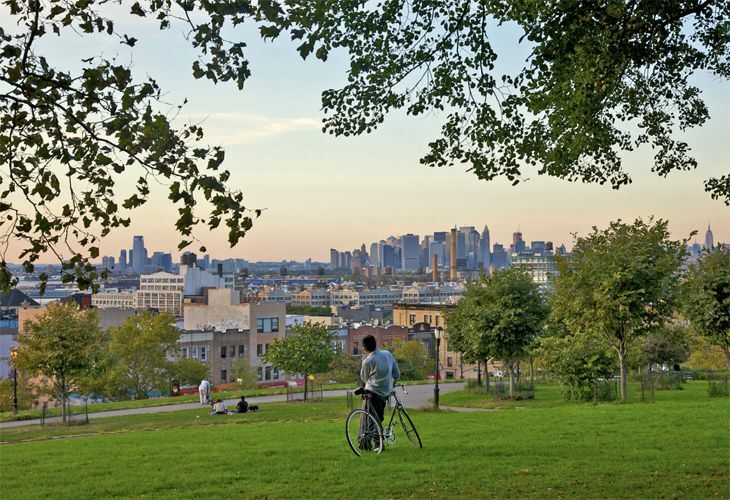 The only other New York-area non-stop service from San Jose is a JetBlue redeye to JFK. Alaska is also slated to klick off new service from San Jose to Hollywood Burbank Airport on March 16, with three daily roundtrips. 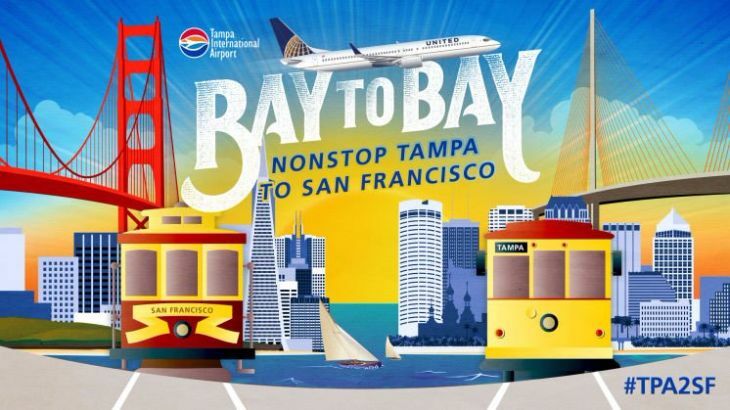 San Jose-Newark isn’t the only new Bay Area transcon route for United. The carrier recently began a daily 737-800 roundtrip from San Francisco International to Tampa, with an 8:30 a.m. departure from SFO. 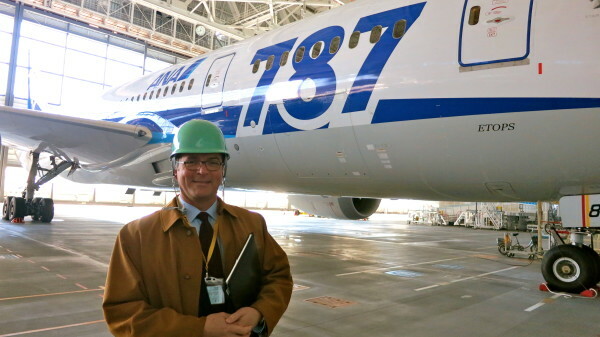 Chris was on the inaugural flight; you can read his report here. In other news, United plans to beef up capacity on its San Francisco-Boston route by using a 777-200ER for two of its six daily flights, up from one flight today, according to Routesonline.com. 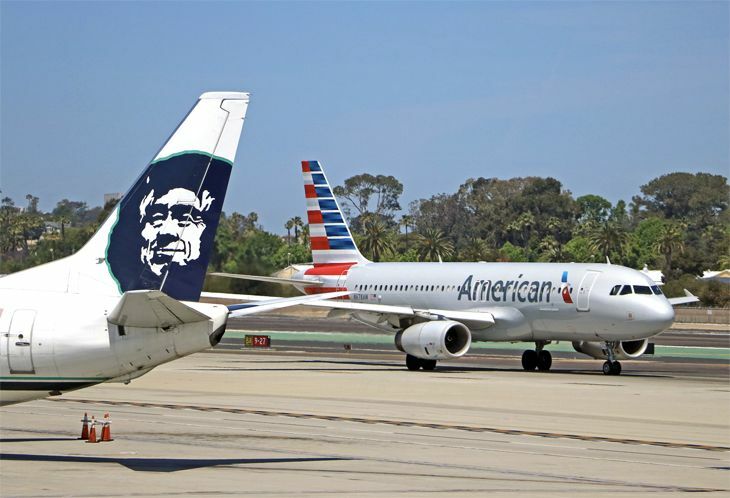 California’s Sonoma County got a new air link recently when American Airlines kicked off new daily American Eagle service to its Phoenix hub from Santa Rosa’s Charles M. Schulz Airport. American uses a two-class, 70-seat CRJ-700 on the route. 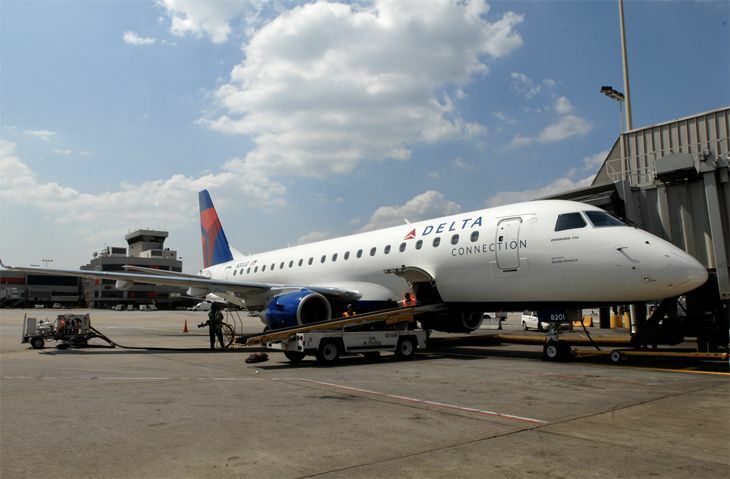 Delta has set a June 12 start for new service linking Nashville with Raleigh-Durham. 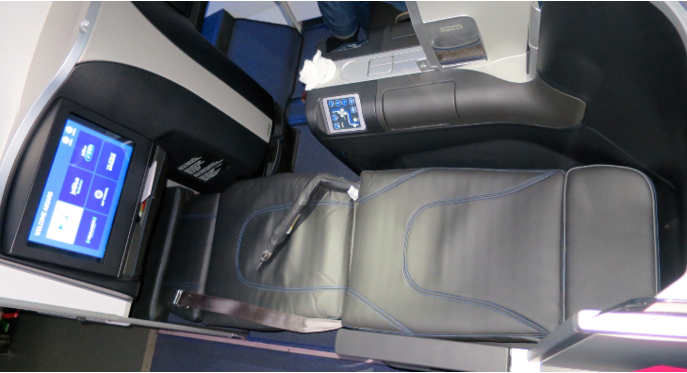 The Delta Connection service will operate twice a day with SkyWest Airlines CRJ-900s that have 12 seats in first class, 12 in Delta Comfort+ and 52 in the main cabin. It’s Delta’s latest announcement of increased service at RDU; the carrier is due to begin RDU-Austin flights in March and RDU-Seattle in June; last fall, it added daily service from RDU to Newark and to Washington Reagan National. 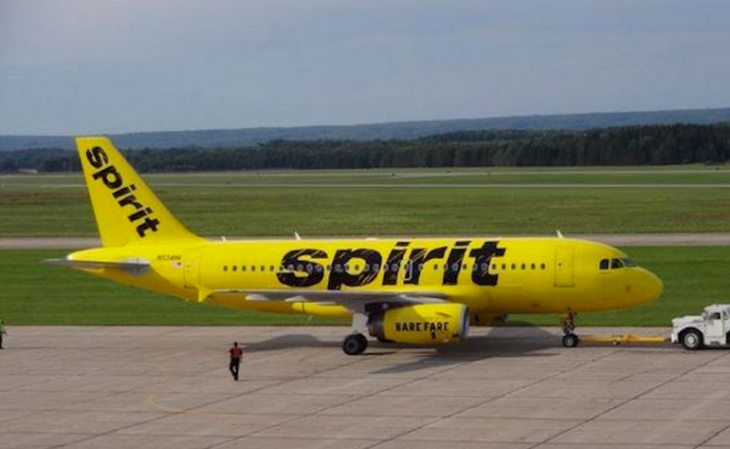 Spirit Airlines said it will add Pittsburgh International as the 61st airport on its route map this spring, with plans to start flying from PIT to seven cities. On May 25, the carrier will begin daily PIT-Dallas/Ft. Worth year-round service, as well as seasonal daily flights from PIT to Myrtle Beach. It will add three weekly flights from PIT to Ft. Lauderdale on June 15, followed by daily service to Orlando and Las Vegas beginning June 22, and daily flights to Houston and Los Angeles starting July 13. 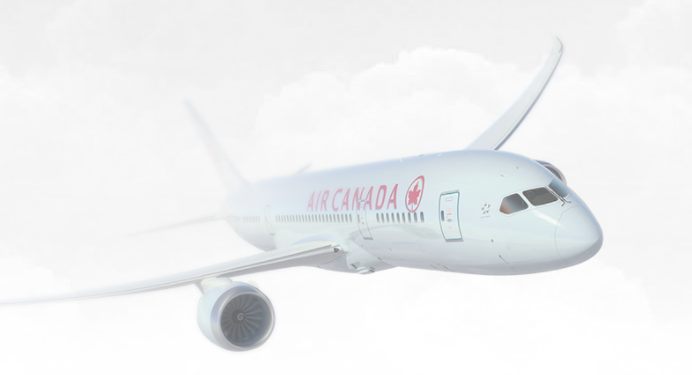 In the latest international route news, United boosts capacity on a new transpacific route out of San Francisco but drops a transatlantic route; a Chinese carrier starts new flights to Los Angeles; Chicago O’Hare gets a new route to Taiwan; low-cost Icelandic carrier WOW adds another U.S. gateway; KLM revives Miami flights; and Delta resumes service to a Canadian destination. 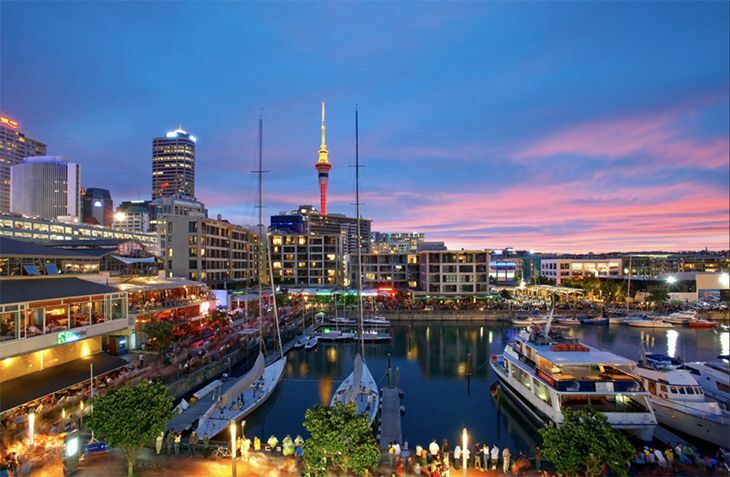 United Airlines just started its San Francisco-Auckland service in early July (after a 13-year hiatus), but now the New Zealand Herald reports that the airline is increasing capacity on the route. 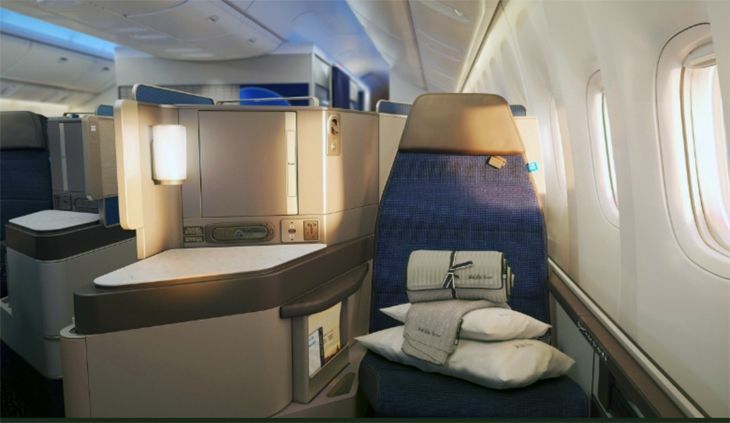 It said United has boosted flight frequencies between SFO-Auckland from five a week to daily service, and has also switched out the 787-8 it was using on the route to a larger 777. SFO-AKL fares are currently in the $1,000 roundtrip range, but occasionally dip slightly below that. Across the Atlantic, meanwhile, United plans to drop its current service linking Newark with Belfast, Northern Ireland effective January 9. Why? Because the subsidy paid to United over the last three years ran out. 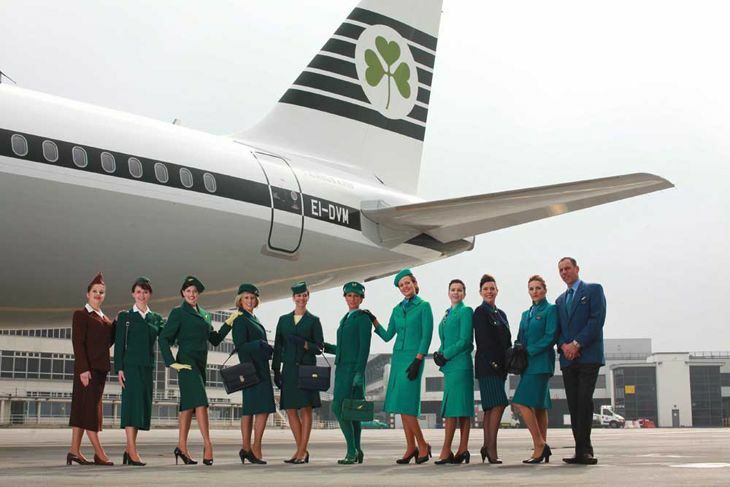 The cancellation has caused much consternation as it was the only nonstop link between Northern Ireland and the US. At Los Angeles International, Chinese carrier Sichuan Airlines is due to start new service on December 6 to Jinan, with continuing same-plane service to Chengdu. 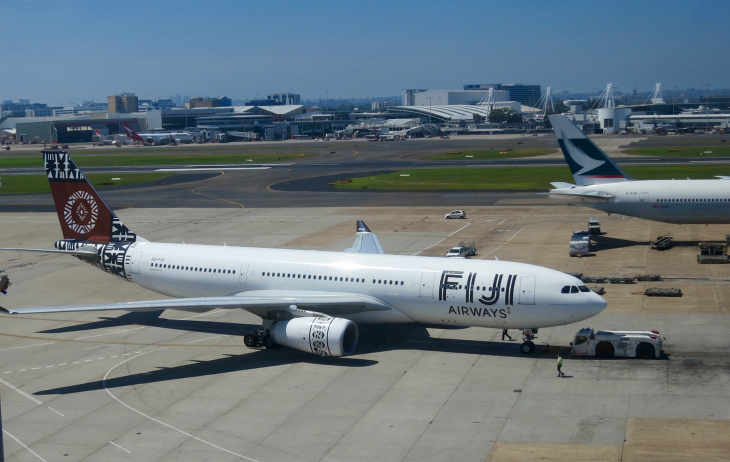 The carrier will use an Airbus A330-200 for the service, which will operate twice a week, according to Routesonline.com. News of the new route comes just a couple of weeks after Sichuan Airlines, with little fanfare, kicked off its first U.S. route; in mid-October it started flying, also twice a week with an A330, from LAX to Hangzhou with continuing service to Chengdu. Taiwan’s EVA Air last week started flying between Taipei and Chicago O’Hare, operating four flights a week with a 777-300ER. EVA offers extensive connections beyond Taipei to other Asian destinations, including 27 cities in mainland China. 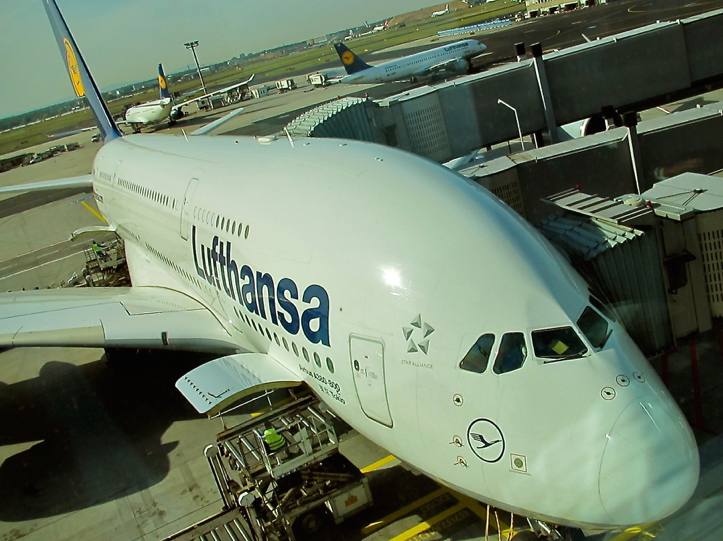 EVA also flies to New York, San Francisco, Houston, Los Angeles, Seattle, Toronto and Vancouver. 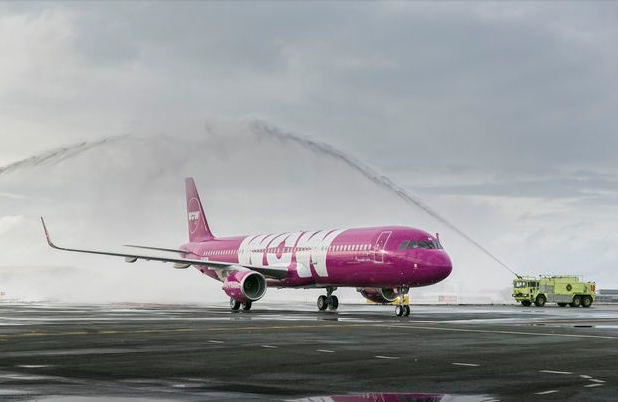 Wow Air, Iceland’s fast-growing low-cost airline, will add yet another U.S. gateway on June 17, when it begins service from Pittsburgh International to its hub at Reykjavik’s Keflavik Airport with an Airbus A321. 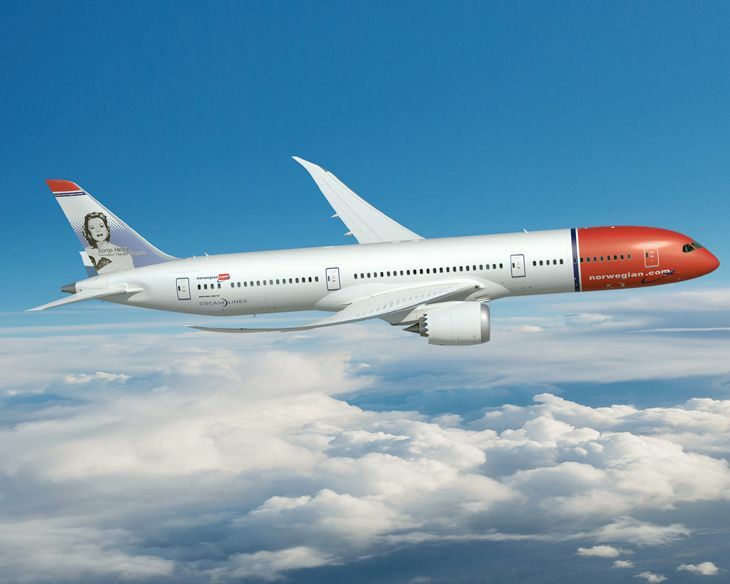 The carrier will offer fares starting as low as $99 each way to Iceland, with connecting service starting at $149 each way to European destinations including Paris, London, Frankfurt and others – plus add-on ancillary fees, of course. KLM, which dropped service to Miami in 2011, started it up again last week. 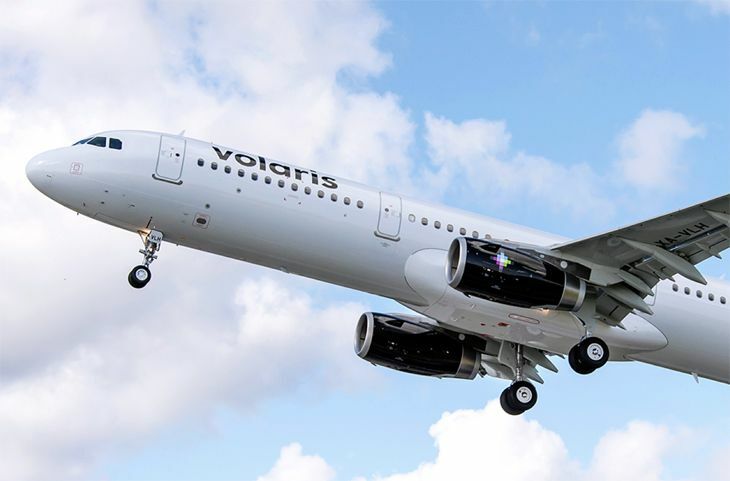 The Dutch airline is offering three flights a week (Tuesdays, Thursdays and Sundays) from Miami to Amsterdam Schiphol using an Airbus A330-200. The seasonal service will continue through June 2017. Delta Air Lines will revive service from its New York JFK hub to Halifax, Nova Scotia, effective January 9. The carrier said it will use a 76-seat CRJ-900 on the route, offering first class, Comfort+ and regular economy seating. The latest U.S. hotel openings include a Hyatt Regency near Minneapolis-St. Paul International Airport, a New York City debut for a leading European chain, an all-suite property in downtown Pittsburgh, a Marriott affiliate in the heart of San Diego, and a Starwood location at Seattle-Tacoma International Airport. 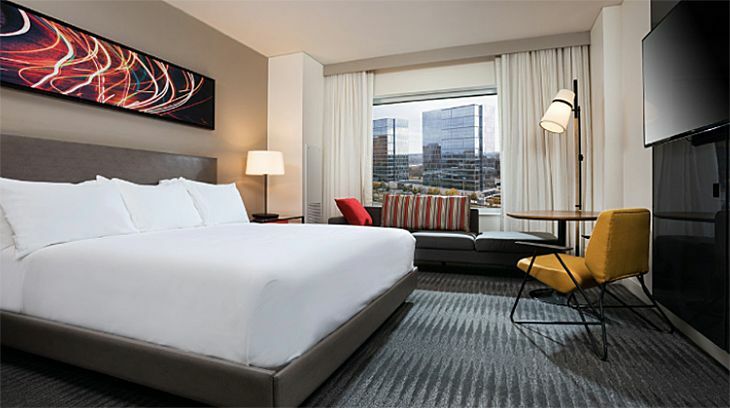 A few months ago, we reported on the opening of a new JW Marriott Hotel in Bloomington, Minn., near Mall of America and Minneapolis-St. Paul Airport. And now there’s a new Hyatt there as well. 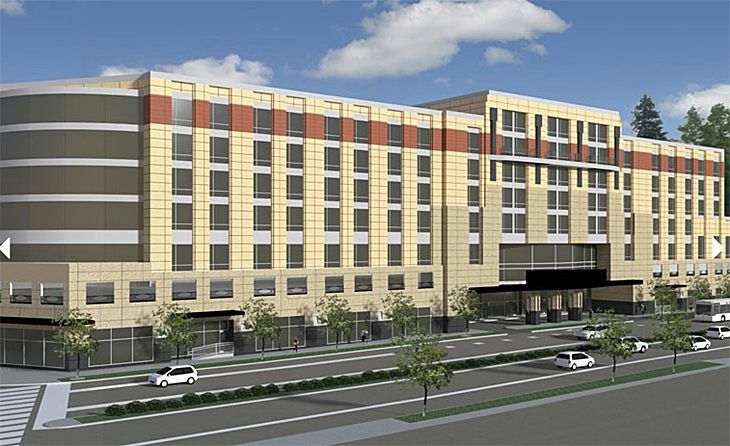 The Hyatt Regency Bloomington-Minneapolis is in the Bloomington Central Station mixed-use development just east of the mega-mall and just south of the airport. It’s along the Blue Line light rail, two stops from MSP. It has 289 guest rooms and 14 suites, all equipped with Hyatt Grand Beds, 55-inch HDTVs with plug-and-play capabilities for personal devices, and free Wi-Fi. The hotel offers a Regency Club Lounge with free breakfast; an indoor pool; and a fitness center. 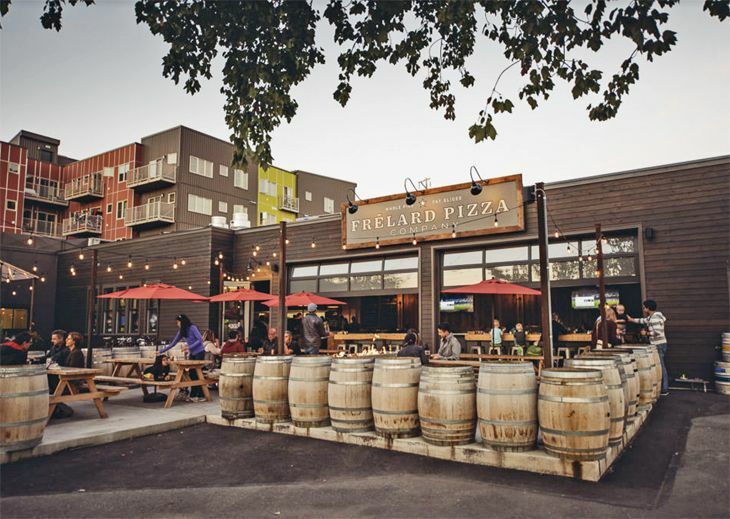 The restaurant has locally-sourced ingredients, and there’s also a market with grab-and-go food items. Rates start at $239. 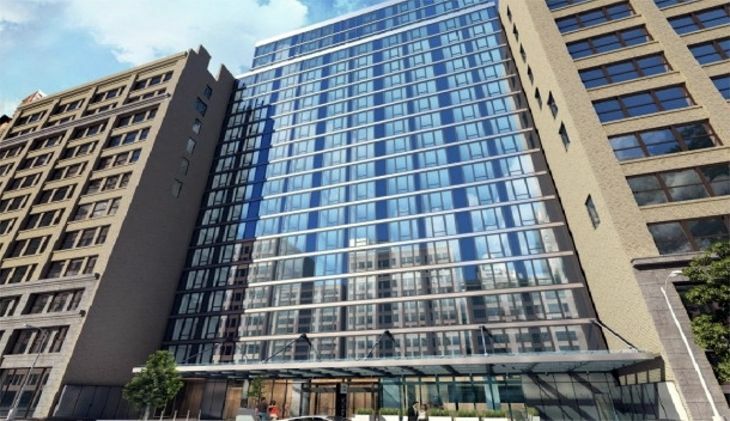 European hotel giant Melia International is slated to cut the ribbon on its first New York City property in March – the 313-room INNSIDE New York NoMad, at 132 W, 27th Street between Sixth and Seventh Avenue. Rooms come with floor-to-ceiling windows and are equipped with Nespresso machines, 42-inch TVs with USB and Bluetooth connectivity, and complimentary minibars. Its Impero Caffe restaurant will serve bistro-style Italian cuisine both inside and on an outdoor garden terrace. Conference rooms can handle meetings of up to 95 persons. Rates start at $249. Pittsburgh’s 106-year-old Henry W. Oliver Building, in the heart of downtown at 535 Smithfield Street, now has a new Embassy Suites by Hilton occupying its top 11 floors. Claiming to be the only full-service all-suite hotel in downtown Pittsburgh, the Embassy Suites by Hilton Pittsburgh Downtown has 225 two-room units equipped with a wet bar, microwave, mini-fridge and two TVs. The hotel offers free made-to-order breakfast and a free two-hour evening reception with drinks and snacks, as well as a 24/7 fitness facility and indoor pool. Check-in is in the hotel’s 25th-floor Sky Lobby, and the property has a full-service restaurant called Elevation with American comfort food. Rates start at $169. Another new all-suite property – this one in San Diego – is Marriott’s Residence Inn San Diego Downtown/Bayfront, at 900 Bayfront Court. 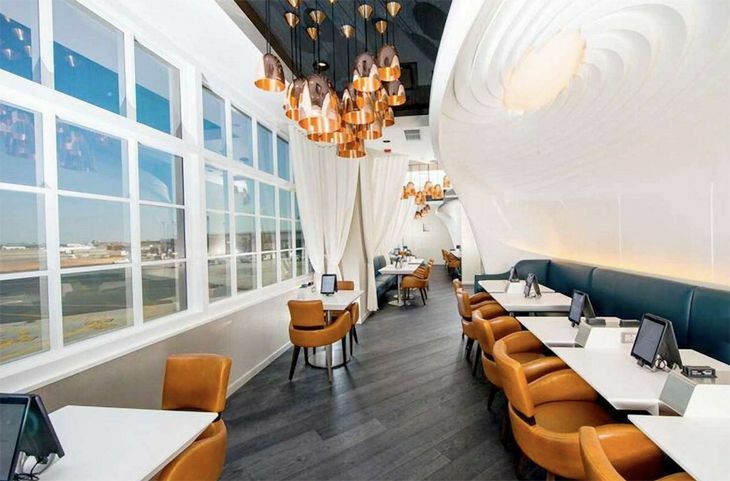 It’s close to the water just west of the city’s famous Gaslamp District, around the corner from both the Amtrak station and the Coronado Ferry, and just minutes from the airport. The hotel has 147 studio, one-, and two-bedroom suites, all equipped with spacious work areas, free high-speed Wi-Fi and full kitchens, and guests can get free hot breakfasts. Rates start at $249. Just off Interstate 5 five miles south of Seattle-Tacoma International Airport in suburban Des Moines, Wash., is the newly opened Four Points by Sheraton Seattle Airport South; it’s also convenient to Boeing’s Renton plant, Amazon’s HQ, and the Link light rail station into downtown Seattle. Its 225 rooms include some two-story loft suites with views of Puget Sound. Northwestern cuisine is served up at the hotel’s Olympus Grille, and the lounge offers local beers and BBQ-style appetizers. There’s an outdoor pool, 24/7 fitness center, business center, and free Wi-Fi throughout. Rates start at $131. In U.S. route news, Alaska Airlines plans to expand at Mineta San Jose Airport with new intra-California service, and it is also growing at Portland; United trims its Cleveland schedule and puts larger aircraft on two Washington Reagan National routes; Virgin America makes a seasonal SFO route year-round; Southwest plans to fly to another Los Angeles-area airport; American adds a new spoke from LaGuardia; and a small niche carrier targets Pittsburgh for expansion. 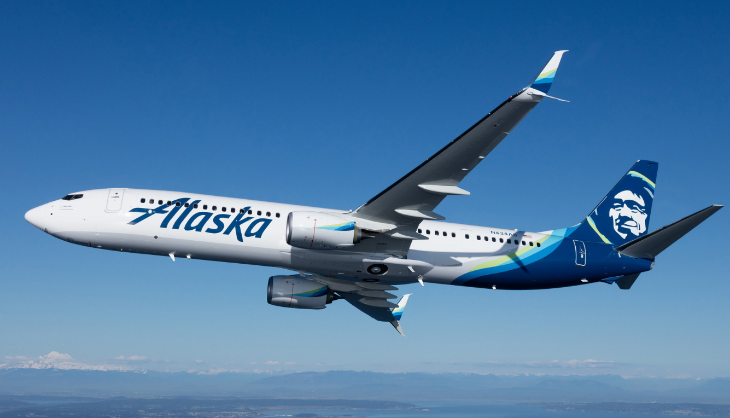 Alaska Airlines announced an expansion in the Bay Area, with plans to add service from Mineta San Jose Airport starting June 5 to both San Diego and Orange County/Santa Ana, Calif. 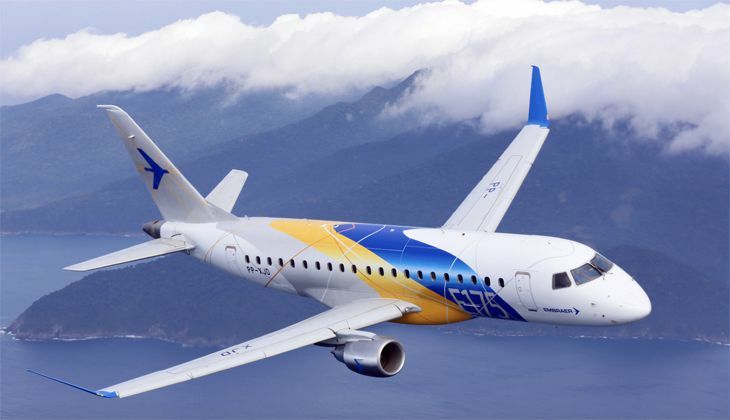 The carrier will operate three daily flights in each market, using 76-seat Embraer 175s from SkyWest Airlines. 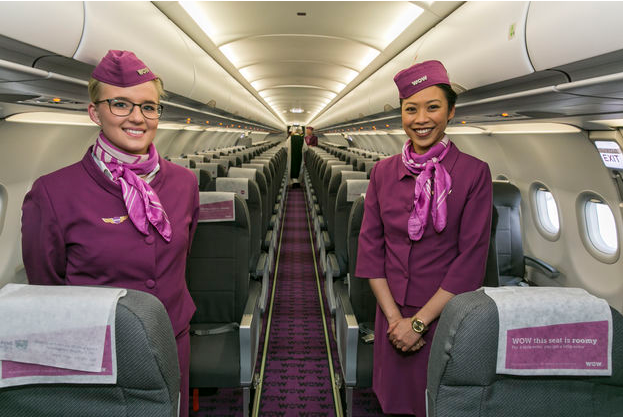 The planes have 12 seats in first class, 12 in preferred class and 52 in the main cabin, and are equipped with Wi-Fi and free streaming entertainment. 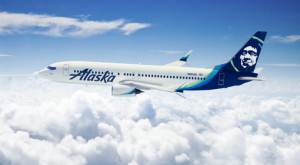 Meanwhile, February 18 is the launch date for three new Alaska Airlines routes out of Portland International. The carrier will begin once-daily service from Portland to Kansas City, Minneapolis-St. Paul and Omaha. Effective May 4, United Airlines plans to drop two routes from Cleveland Hopkins Airport, ending its service to Las Vegas and to St. Louis. That brings United’s presence at Cleveland down to 15 destinations, from 58 two years ago. 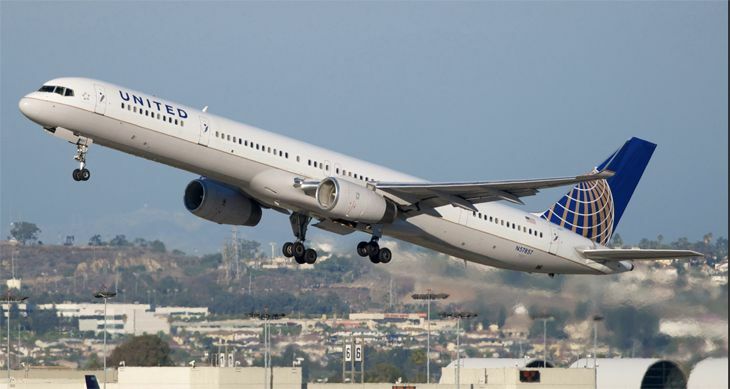 Meanwhile, United also plans to expand capacity on a pair of routes out of Washington Reagan National by switching to 213-seat 757-300s from smaller aircraft. The 757s will replace 737-800s starting March 23 on the San Francisco-DCA route, and A320s and 737-800s on the Denver-DCA route beginning March 3. 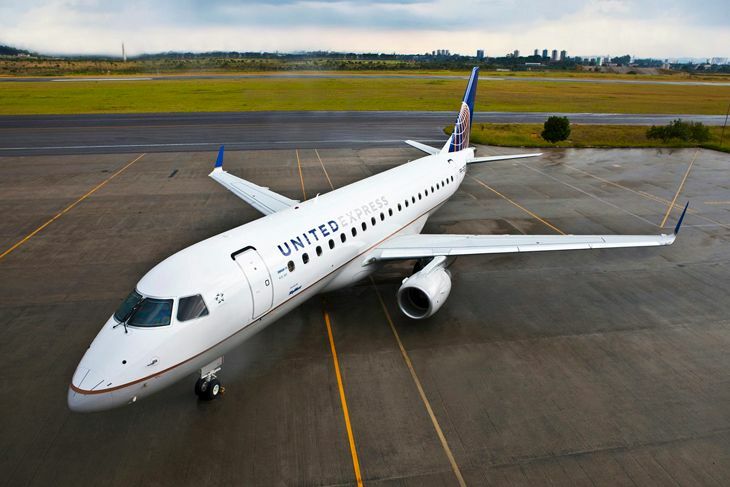 In other developments, United plans to discontinue service April 4 from Chicago O’Hare to Elmira/Corning, N.Y., and to operate Saturday/Sunday seasonal service from O’Hare to Great Falls, Montana from June 11 through August 14. 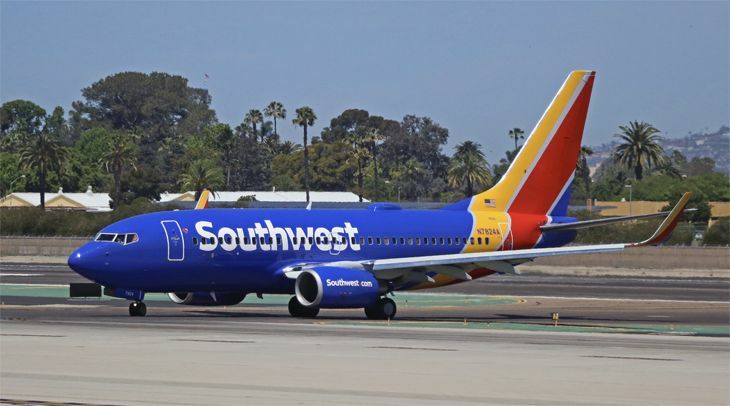 Southwest Airlines, seeking to expand its network to “five for five in Greater L.A.,” has applied for takeoff and landing slots at Long Beach Airport. 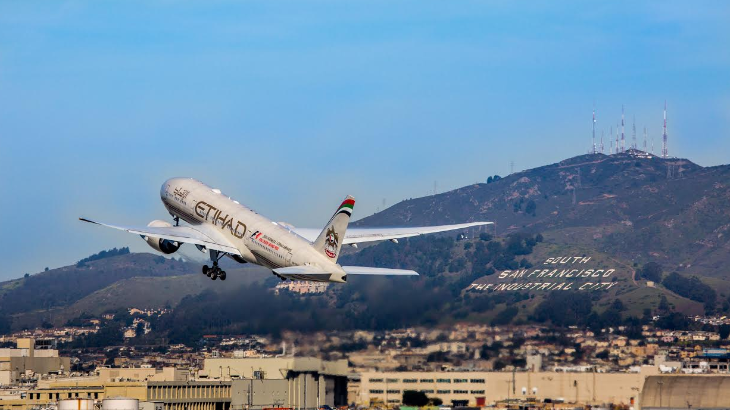 The airline already flies out of Los Angeles International, Burbank, Orange County Airport and Ontario. Southwest didn’t say where it wants to fly from Long Beach, but California and Nevada media are speculating that it might have its sights on the Bay Area and/or Las Vegas. 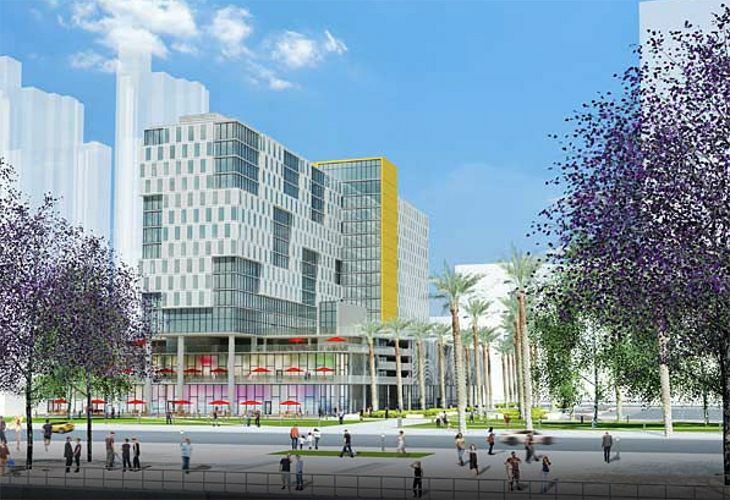 The airline said it hopes to start service at Long Beach later this year. According to the Louisville Courier-Journal, American Airlines plans to start daily non-stop service from that Kentucky city to New York LaGuardia effective June 2. 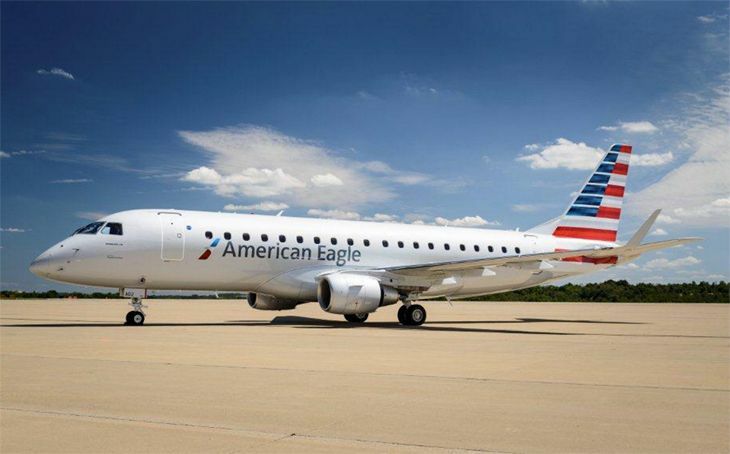 It said American will operate one daily roundtrip with a 50-seat regional jet. 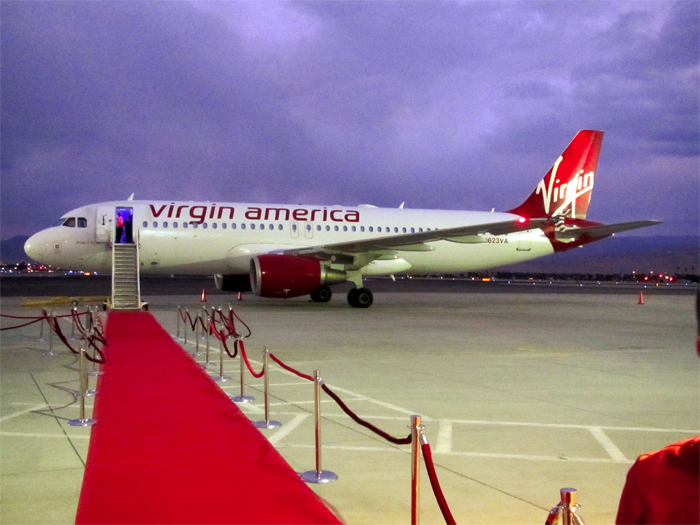 Virgin America Airlines said that its seasonal service between San Francisco and Palm Springs will be operated year-round from now on. The airline said it will fly the route four times a week through the fall. Virgin’s Palm Springs-New York JFK flights will remain seasonal, continuing through May. 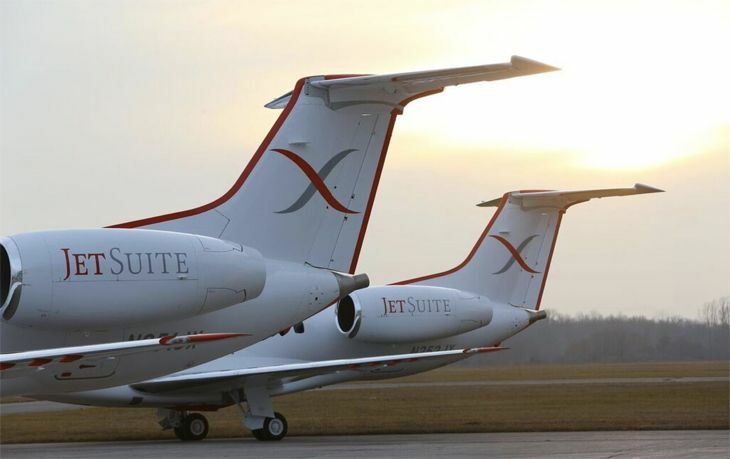 OneJet, a small but fast-growing niche airline that operates seven-passenger Hawker 400 jets on routes in the Midwest, said it plans to make Pittsburgh its next focus city. 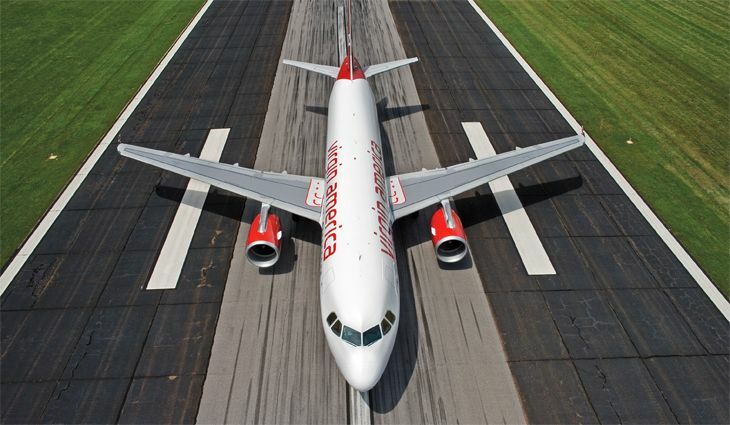 The little airline, which already flies from Pittsburgh to Milwaukee and Indianapolis, plans to start twice-daily Pittsburgh-Hartford flights on May 9, and then to add four more destinations from Pittsburgh in the second quarter, although it didn’t day which ones. What’s next for Uber & Lyft? Ride-sharing apps like Uber and Lyft continue to make advances in gaining access to the lucrative airport passenger pick-up market, winning new approval to operate at Pittsburgh International, and getting close to a deal with Washington D.C. officials; meanwhile, Uber announced a big expansion in Denver, where airport pick-ups were approved late last year. 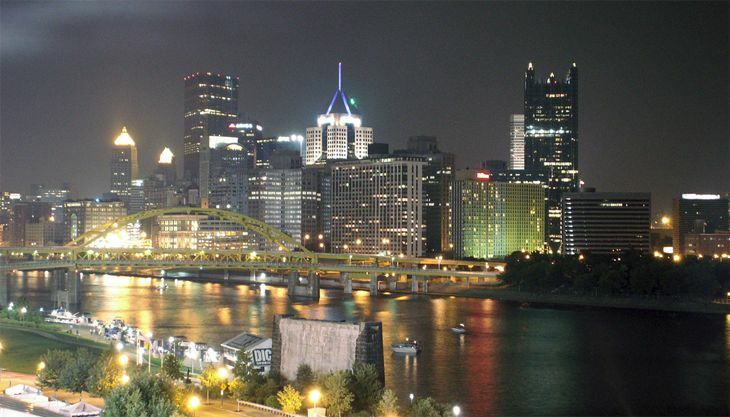 Officials of Pennsylvania’s Allegheny County this month adopted a policy that gives ride-sharing firms authority to pick up passengers at Pittsburgh’s airport for the next three years. Uber immediately jumped into the market, obtaining the first certificate. Lyft is expected to follow suit. To gain a certificate, Uber agreed to pay the airport a fee of $2.90 per trip — slightly more than the $2 that regular taxi companies pay. Meanwhile, the Metropolitan Washington (D.C.) Airports Authority this week started holding hearings on a proposal to allow drivers for Uber, Lyft and other operators to operate at both Reagan National and Dulles International airports. That plan calls for the ride-sharing vehicles to pay a $5 access fee for each pick-up and drop-off, and envisions the creation of designated waiting areas for ride-share drivers at the airports. As in other cities, this plan is vigorously opposed by traditional taxi companies. And in Colorado, Uber said it wants to hire another 1,000 drivers this summer, mainly in the Denver, Boulder and Fort Collins markets. The firm said it is especially eager to take on more military veterans and women as drivers. 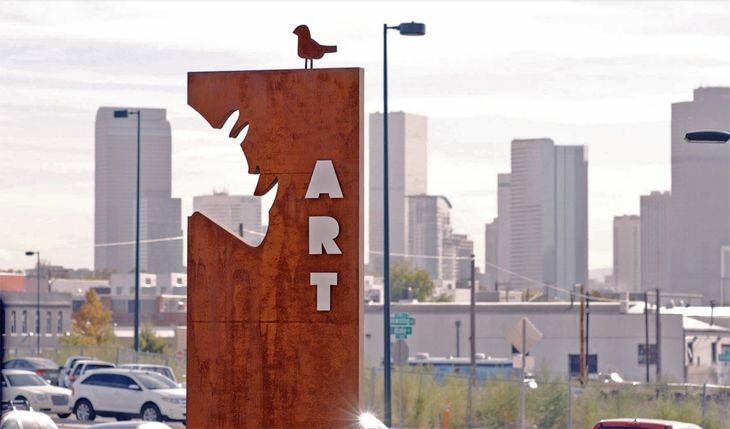 Uber also wants new drivers to work full-time to accommodate “extraordinary demand” in the region, the Denver Post reported; most drivers now work part-time. 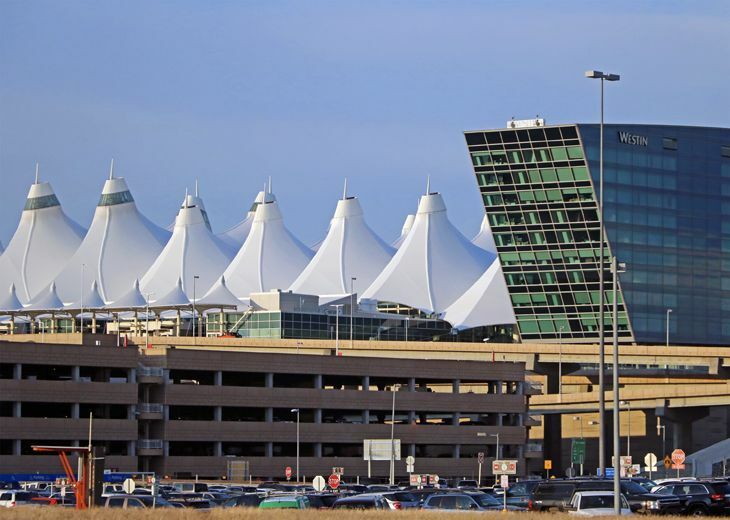 Denver International Airport late last year approved a plan that allows ride-share companies to pick up passengers there. And here’s an interesting nugget: Did you know that most of Uber’s rides are no longer in the US? China, where passengers are taking more than one million rides per day (! ), is a bigger market. Click here to learn more about these bonuses! Filed Under: Airports, Ground, Technology Tagged With: Denver, lyft, Pittsburgh, uber, Washington D.C.